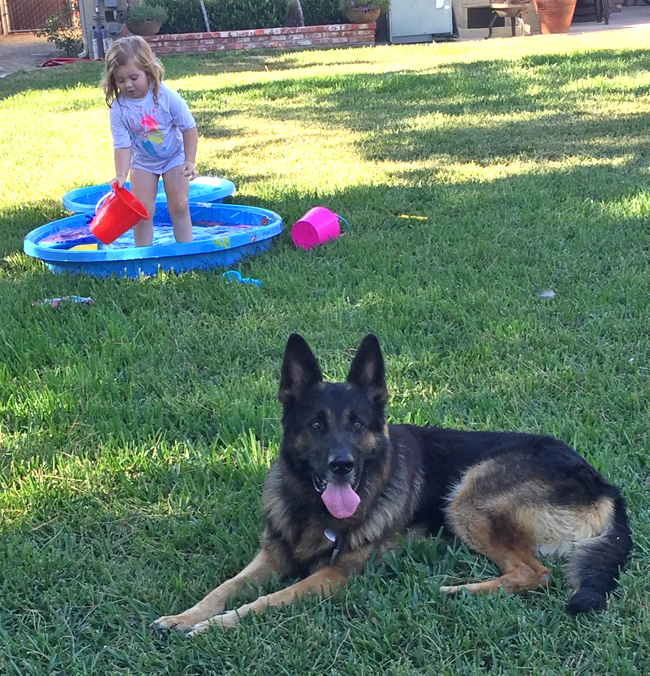 Mac von Mermuth is one handsome 5 year old German Shepherd. Happy and eager to go on walks, our “Big Mac” knows his basic commands, walks well with others and enjoys exploring. This gentle giant is really easy-going and a big lover — he does great with kids; he loves to please, loves his people and loves to love with cuddles and kisses. He’s social too! Besides walking well with other dogs, he plays well in in canine playgroups with other easy-going dogs, but dominant dogs are not a good match, nor are cats or horses; however according to his previous owner, he was fine around the chickens. Ever loyal, Mac misses whoever gave him up and dreams of a family who will love him forever; his bags are packed and ready to go to wherever that home may be.